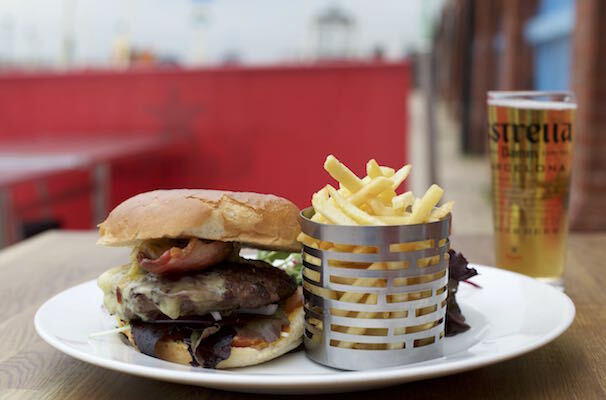 Perfect For A Bite To Eat At The Seaside! 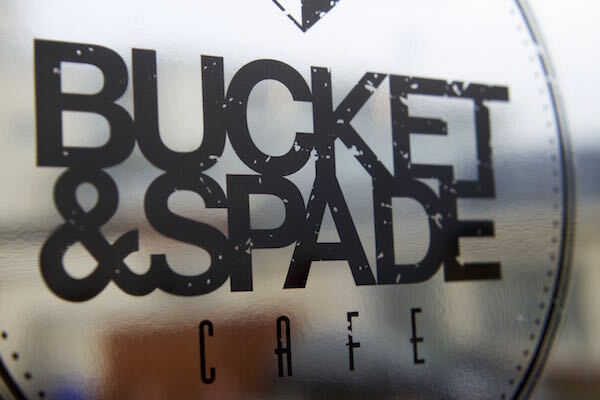 The Bucket and Spade café is tucked away in one of the arches opposite the children’s park on Brighton Seafront. 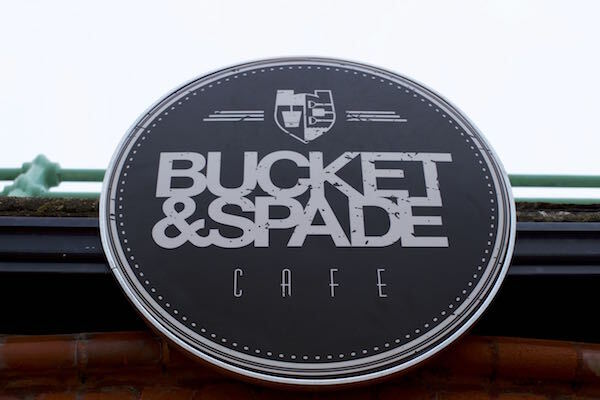 With seating outside you can tell that this would be a gem on a warm Summer day – somewhere to grab a bite to eat whilst the little ones enjoy themselves in the park. However, this wasn’t to be when we visited; it was a cold blustery day in the middle of November – even so, it didn’t disappoint! 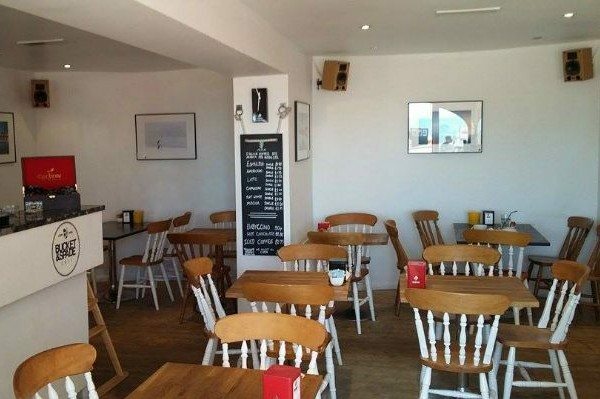 We were warmly greeted by Lisle and his team, shown to a table and menus were brought to us, a welcome change to a normal café where we have to navigate ourselves to a seat and grab menus from the counter. Although empty when we first arrived (we got there at midday), another three groups soon came in to sit and there were a few others that just popped in to grab a take out hot drink. It just goes to show that even on a winters day there are still plenty of people out and about enjoying the sea air and the amenities that the seafront has to offer. The menu is easy to read and well laid out, I would say that there would definitely be something for everyone as the choice is fantastic. Orders were taken at our table, much easier due to me having my troublesome two year old with me!! My mum decided upon The Bucket and Spade Burger with Cheese (£8.95), and I opted for The Tocino (a chicken burger topped with bacon and melted cheese) £9.50. 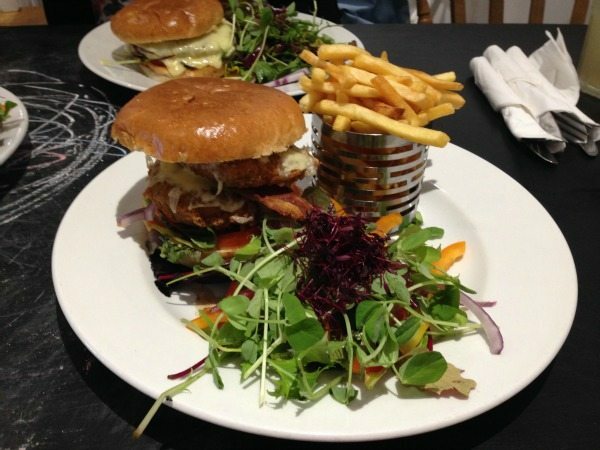 Both burgers were served in a toasted brioche bun with homemade relish, sliced tomato, onions and baby leaf with fries and a salad – phew! The burger with cheese was a good size and they are certainly not shy with the cheese, it oozed on every side and was delicious – although not overpowering. The meat itself was thick, juicy, flavoursome and well cooked (not pink at all). My chicken burger consisted of two crispy coated tenderloins that were incredibly juicy. The coating was well seasoned and had a good crunch to it. The bacon was crispy too so overall the burger had some really good textures going on. I have to say though that with the strong flavours of the chicken and bacon the cheese in the burger was a little lost and I do question whether it brought anything to the dish – I’m not sure. The homemade relish was lovely, so often places make their relishes quite tangy, but this was smooth and just very tasty. I found that it worked really well in the chicken burger by cooling the seasoning on the chicken coating and complemented the beef beautifully. 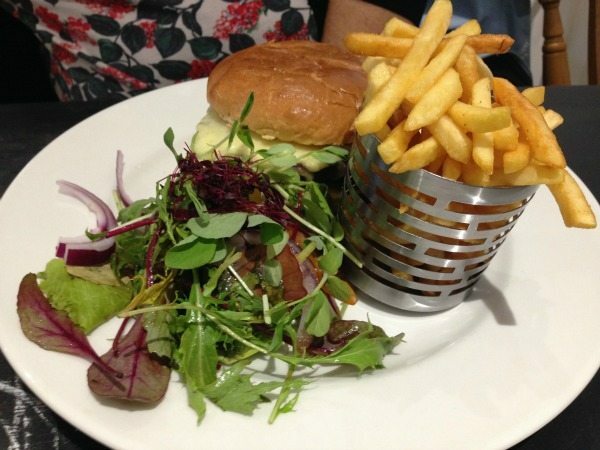 The fries were great, skinny with a bit of a crunch – just what you want when eating a big juicy burger. The salad was yummy too, plenty of green leaves including rocket and pea shoots together with red and yellow peppers. Overall the dishes were delicious, big and very good value for money. 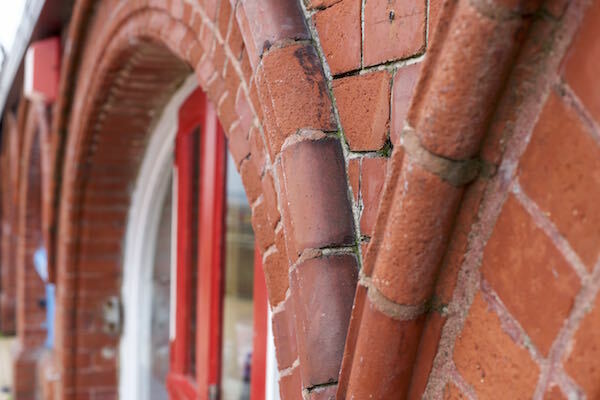 I think Lisle and his team are definitely onto a winner here, and with the impending opening of the i360 just next door things surely are only going to get even better for them! Both burgers were big and with the amount of cheese in the beef burger meant it did look a little messy. 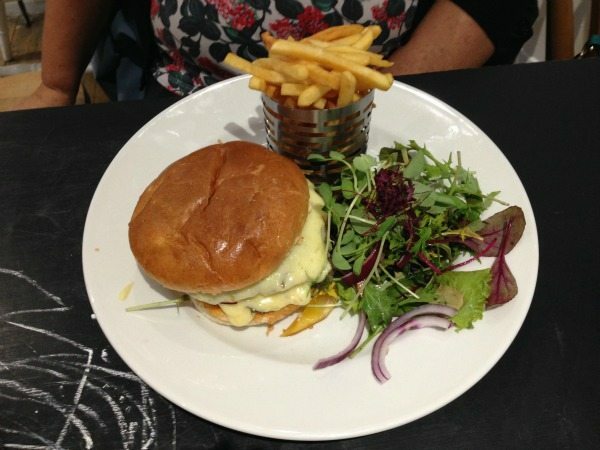 The flavours worked very well with the beef burger, the cheese and the homemade relish complemented the beef perfectly. The bun was great and stayed intact whilst the burger was eaten. As mentioned above the bun was very durable. It was very tasting too, Mum even ate the whole bun – something she very rarely does! The meat in both burgers was of very high quality. The beef held together well and didn’t crumble when bitten into, but it still managed to keep its juciness. As mentioned before the presentation of the burgers was perhaps a little messy, but that’s just because there was so much going on in them, which is no bad thing! The skinny fries were great and the salad had just the right amount of dressing on. Condiment wise, they kept it old school with sachets of tomato ketchup and mayonnaise on the tables for us to help ourselves to.